Click the icons on the map below to view the most up-to-date project information. 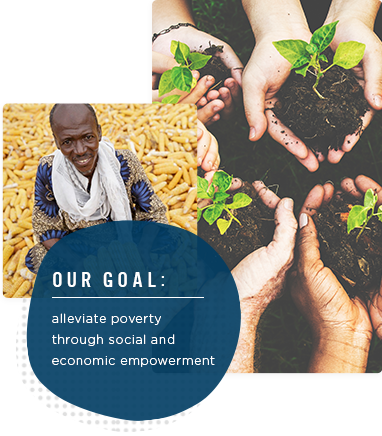 NCBA CLUSA seeks to alleviate poverty through social and economic empowerment. Our cooperative strategies and innovative local solutions catalyze economic and social development. We act as advocates for and drivers of inclusive economies. NCBA CLUSA envisions a world where people have the knowledge, resources, and authority to build prosperity and well-being, for themselves and future generations. Our advantage is our track record: over 65 years of positive outcomes for smallholder farmers, rural families, communities, producer organizations and our many partners and stakeholders. Our community-led approach empowers people to articulate, promote and manage sustainable, locally-generated solutions. Our clients are the decision-makers when it comes to solving their communities’ most pressing development needs.